Kevin and I started dating on August 17th, and got married on August 17th two years later. When we celebrate our anniversary we celebrate the length of time we have been together not how long we've specifically been married. So, this year marked our 5th anniversary as a couple and we wanted to honor the milestone with new photos since the last ones we had taken were at our wedding. Our photos were taken by Trevor Dayley, who I've mentioned a time or two on my blog before. While I would have preferred to be the one behind the camera instead of in front of it, Trevor is a really laid back, easy going guy and he made the process a breeze. 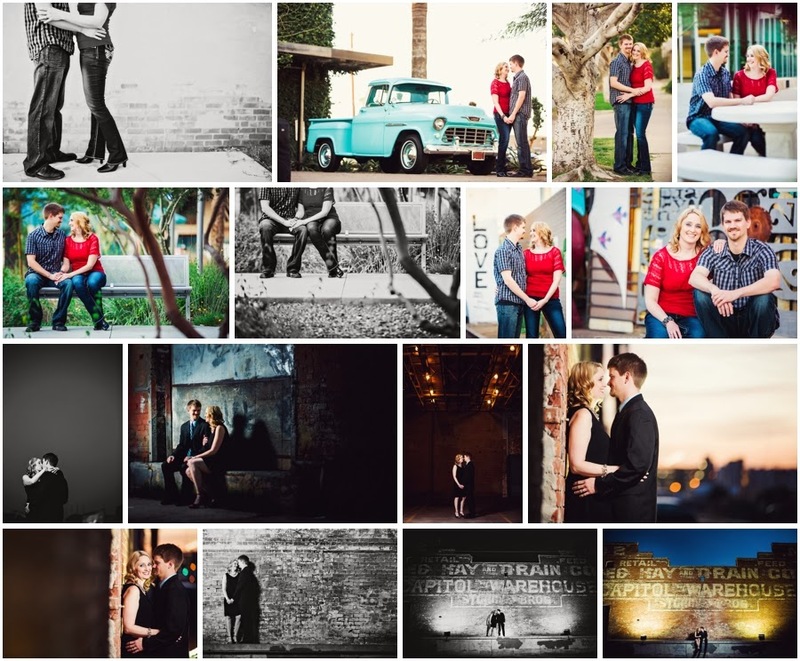 August in Phoenix is pretty toasty, so we decided to wait until things cooled off a bit to have our photos taken. We were originally planning on doing them back in November, but then things got really crazy with purchasing our house and Kevin wrapping up law school so we bumped them to earlier this month. We had our photos taken at one of my favorite downtown locations to shoot, and it was really awesome getting to see Trevor's vision of this area come through in the photos he took of us.